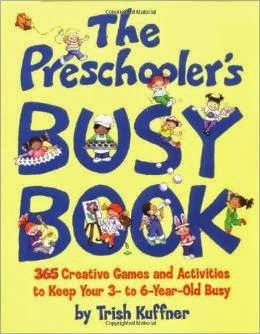 This book has 365 creative learning games and activities to keep your 3-6 year-old busy! What's great about the games and activities suggested in this book is that you can DIY at home and don't need to buy any special toys or accessories. The book has great ideas on what to do on a rainy day, kids in the kitchen, outdoor adventures, reading, writing, and math, music, dance, drama, and much more. Below are a few excerpts from book. I'll be trying out the indoor tent with my boys this week!